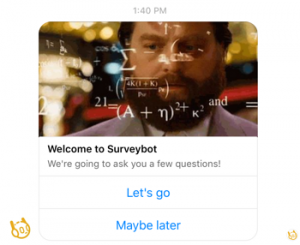 Here’s all the details of our latest Surveybot update for June. This is the first update since launching our beta. Thanks again to everyone that has shared their feedback with us. If you have any suggestions please feel free to get in touch! We’ve added a bunch of new message types to help you give your surveys more personality. These include Images, Videos, Cards, Card carousels and more. You can check out all the message types here. 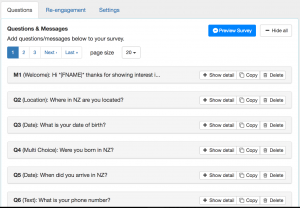 Make your surveys more interactive and break up messages using quick replies. Easily add quick replies to any message in your survey. 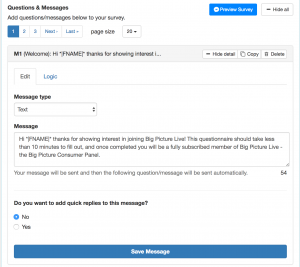 Setup logic on your questions and messages to only send them based on answers to previous questions in the current survey. Set a correct answer value for each of your questions to build quiz logic. 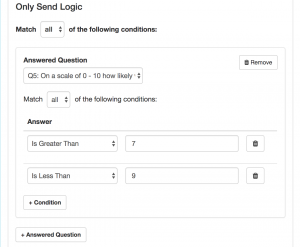 Combine with only send logic to only send questions/messages based on the total correct answers. 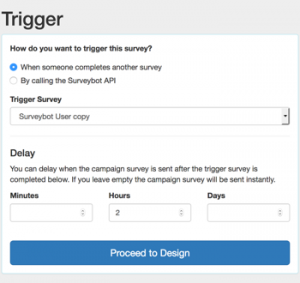 Trigger follow up surveys or sequences whenever someone completes a survey. Setup delays to schedule the triggered followup at a later time or trigger immediately. Create custom fields for your panel respondents. Populate the fields by linking answers to them and even include the data in your custom integrations and exports. Automatically tag respondents when they answer your surveys. 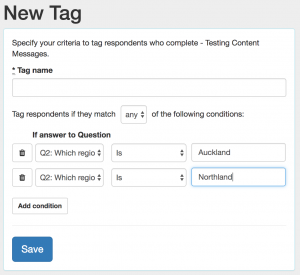 Setup conditions for each tag to only tag based on the respondent’s answers. 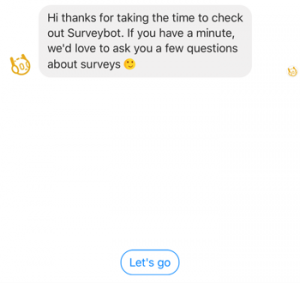 When designing your surveys you can now preview your survey in Messenger and Workplace. You’ll notice a new “Preview Survey” button on the top right. We’ve continued developing our survey builder and have made various improvements to it. You’ll now find that it loads a lot quicker and adjusts to your current position when you’re editing individual questions. We’ve also made the Welcome message more flexible so you can use any of the new rich content messages and quick replies on your welcome messages. 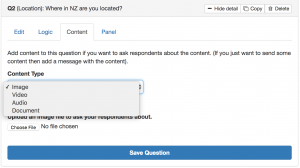 You can now add more content types to your questions for surveying content. The new content types in addition to images are video, audio and documents. Update Respondent Attributes – This endpoint enables you to set profile and custom fields on a respondent. This is handy if you want to calculate some values in your own system before sending them back to the respondent in a message or question. Campaign Triggers – This endpoint enables you to start trigger campaigns for a specific respondent. Used in conjunction with the update respondent endpoint you can set values before sending a trigger campaign. Linking individual question answers to fields in your other systems. 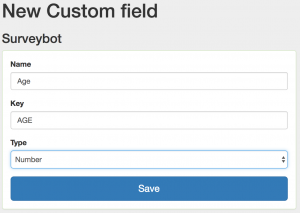 Custom fields that you have created for your panels. We hope you like this update! If you have any feedback or other suggestions please get in touch via email support@surveybot.io or go and check them out at https://surveybot.io. Nice updates, some powerful features in there. I like the quiz stuff, that opens up some great tertiary institution uses for this. Have you got a survey monkey import feature? Create a new survey from csv or similar?